192 pages, including 16 photos and over 200 diagrams. 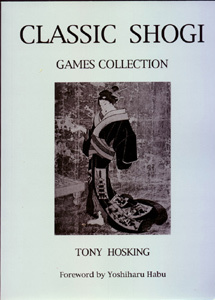 Classic Shogi is a collection of 80 of the best games by all the Meijins (Grand Masters) and other top players, over the last 400 years. The notes to the games incorporate professional analysis.